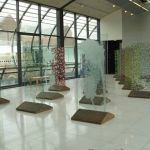 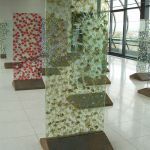 Meadowlands was a touring solo exhibition that looked at the increasing rarity of Britain’s wildflower meadow. 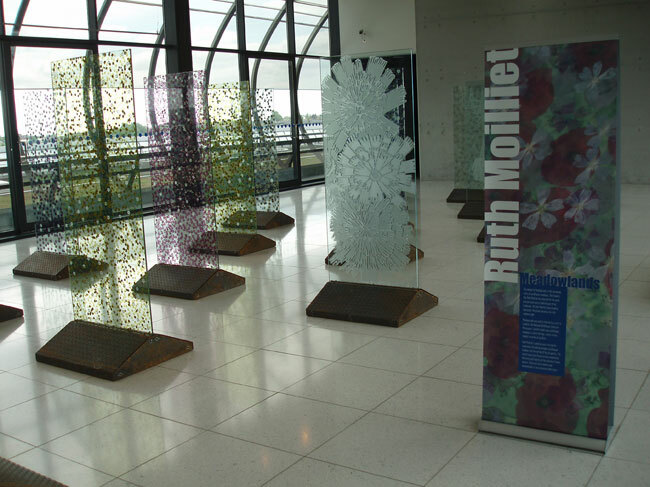 To create this unique exhibition Ruth collected and studied the flowers and seeds of different wildflowers. 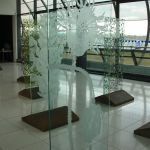 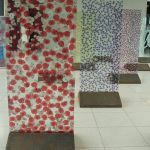 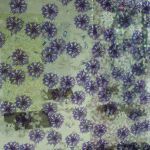 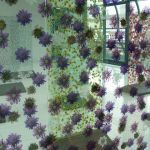 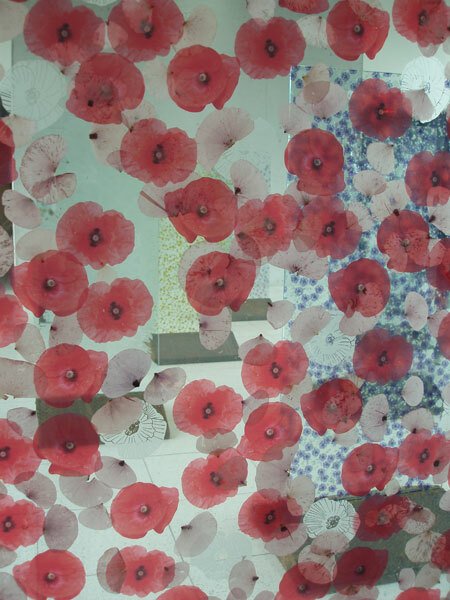 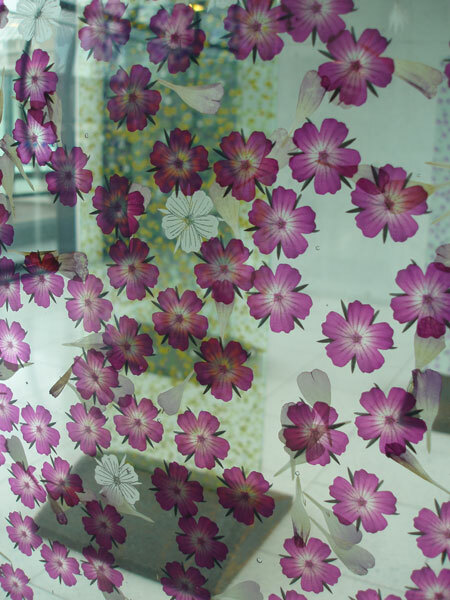 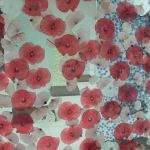 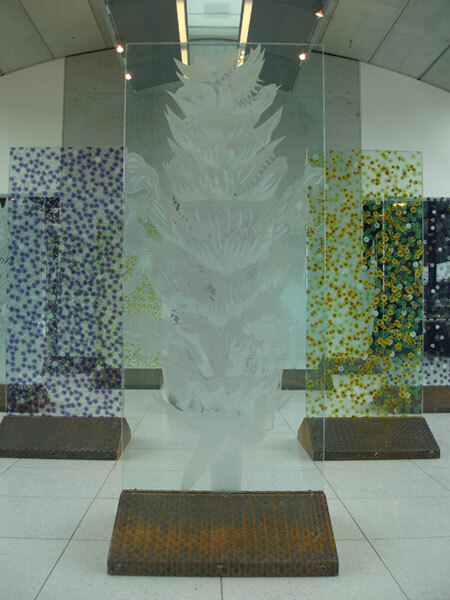 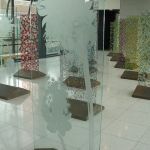 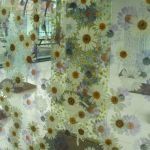 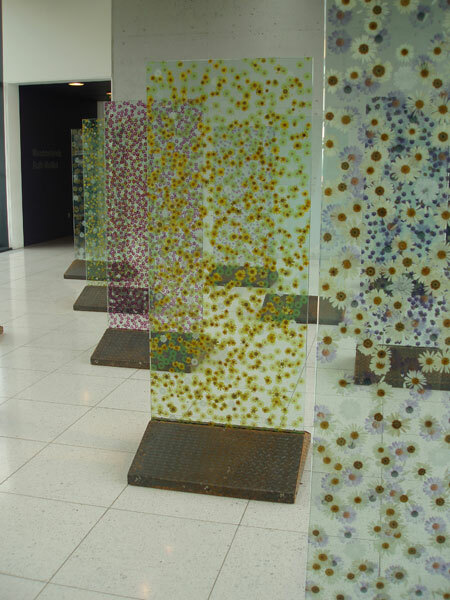 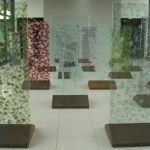 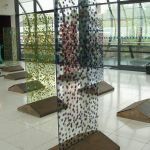 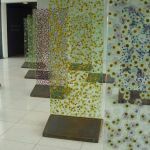 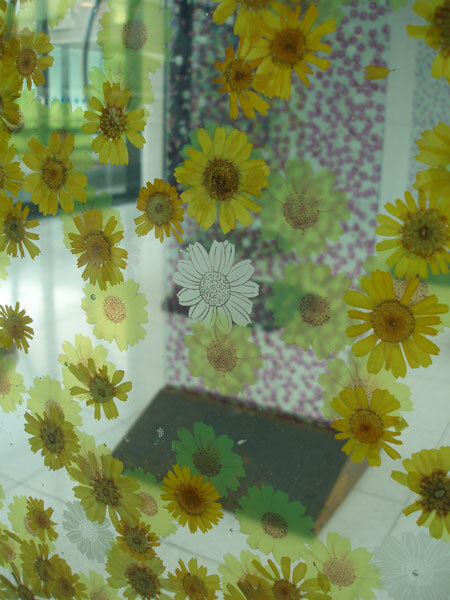 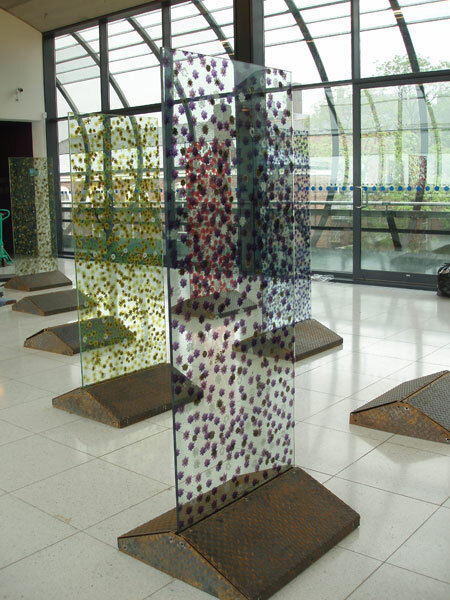 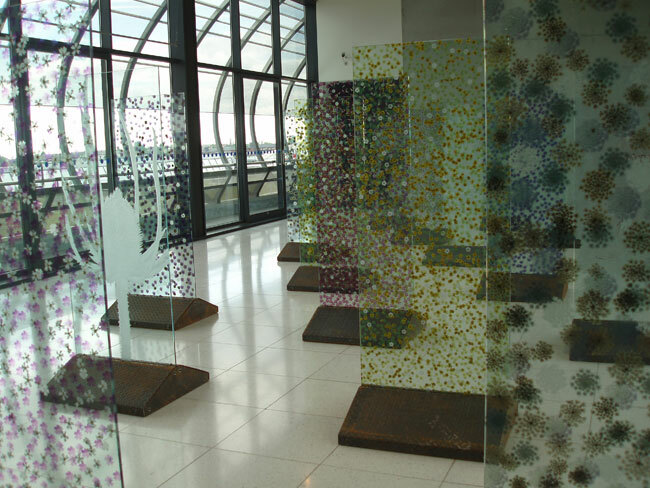 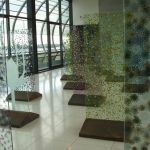 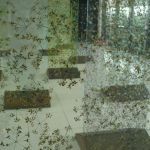 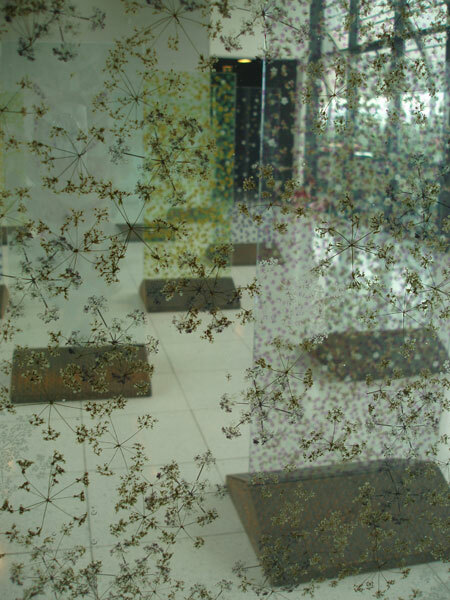 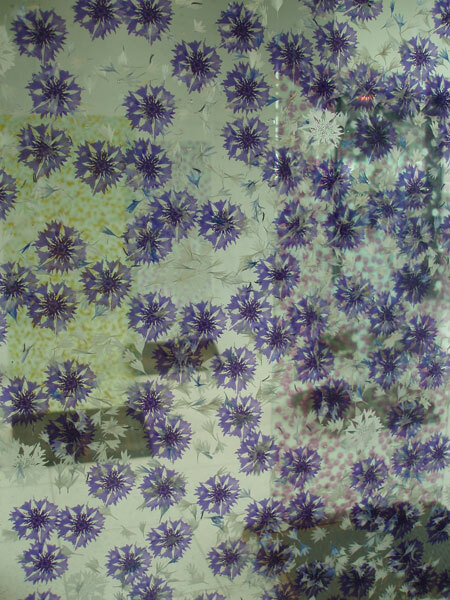 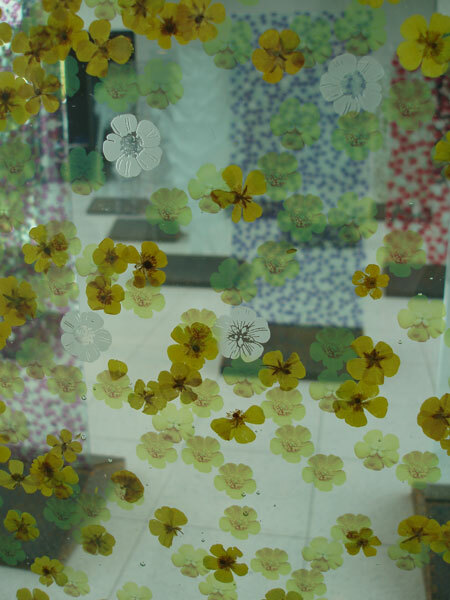 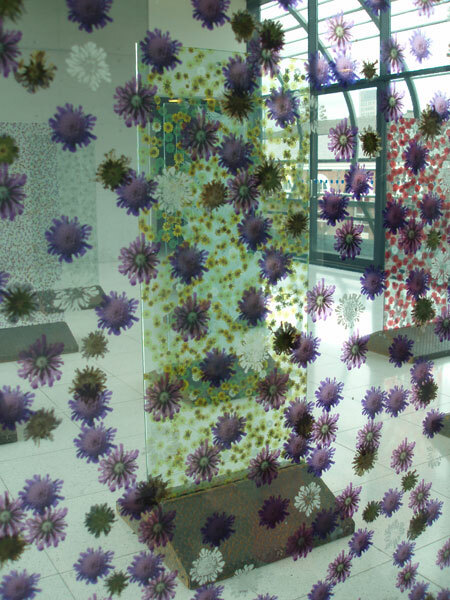 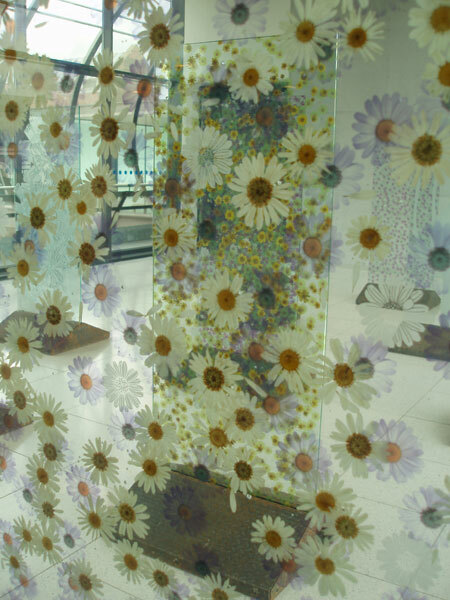 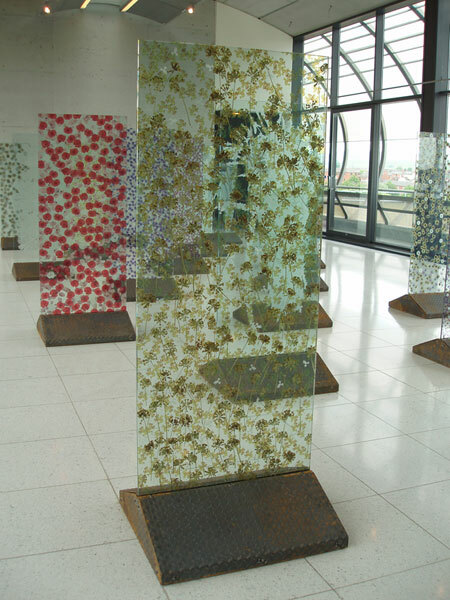 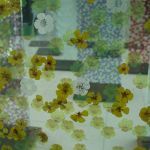 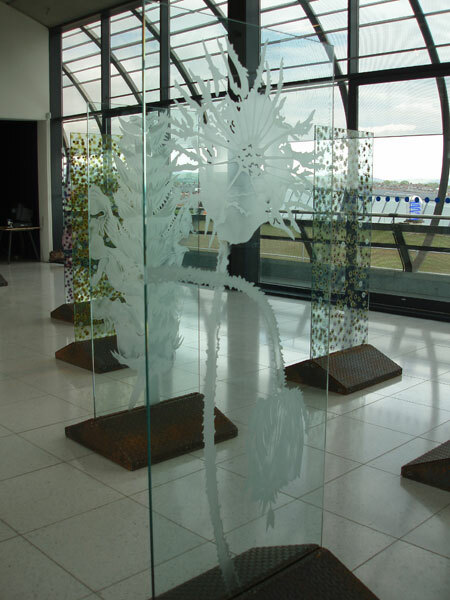 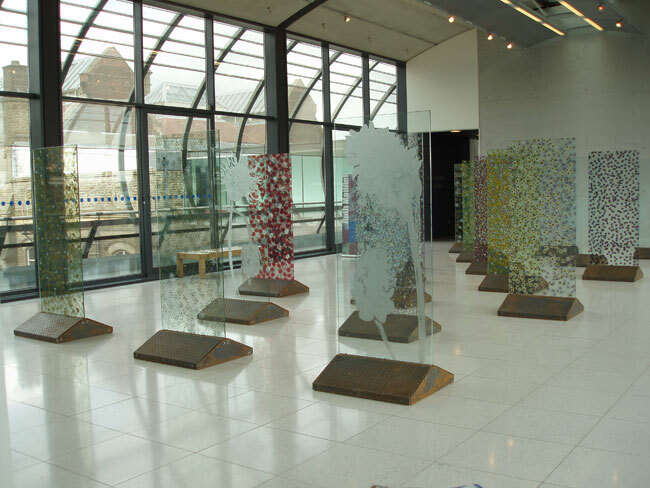 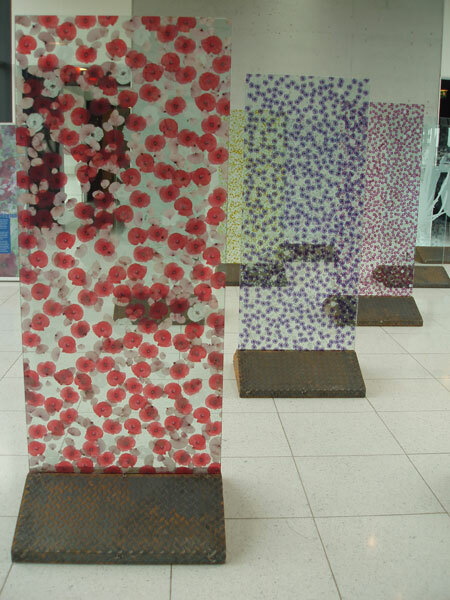 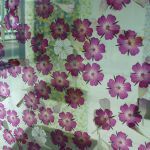 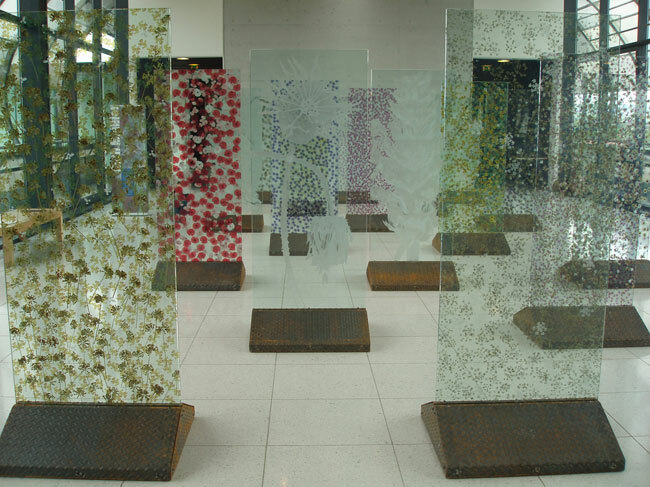 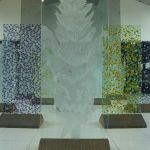 These flowers formed the basis of the 18 stunning two-metre-high glass panels which made up the exhibition. 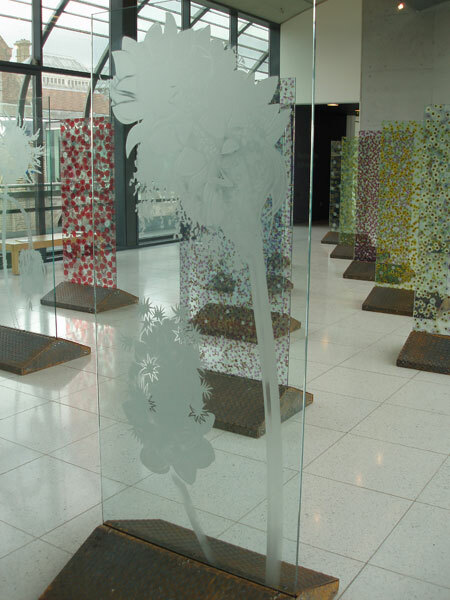 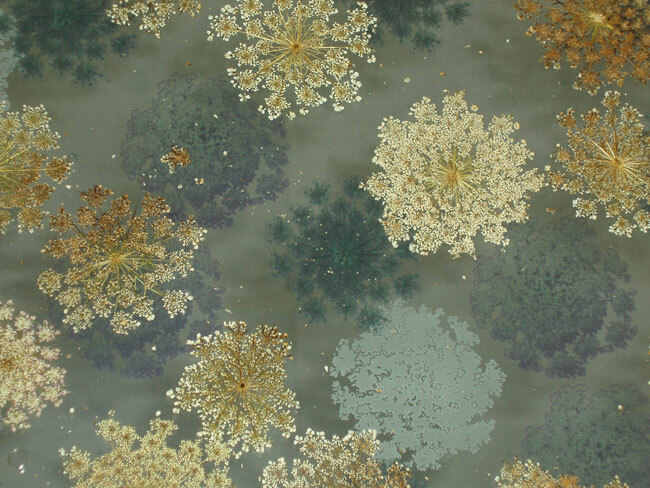 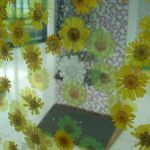 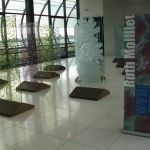 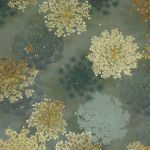 The panels combine pressed flowers, photographs and etchings taken from Ruth’s studies of the plants’ intricate structures.